This tutorial shows how to change the usplash which is a flash screen after typing user and password in login window. 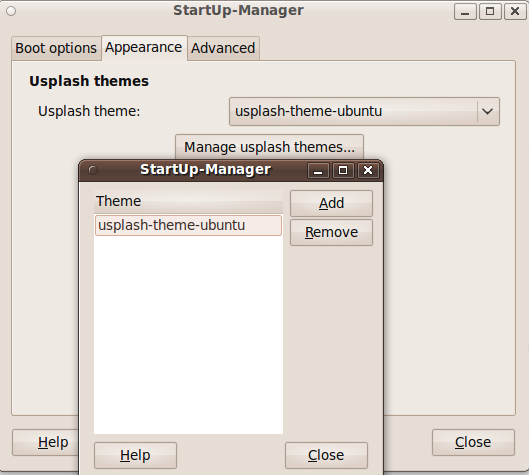 Step2:Launch startup-manager from System->Administration menu.Select Appearances tab and click on Manager usplash themes,then choose your favourite theme. 2 users responded in " How to change ubuntu usplash-flash screen after login window "